I don't mind it, it's not an original idea, but MJ's been normal enough times in these scenarios, it's time she showed she can have Peter's back in different ways. Last edited by ZariusTwo; 08-31-2016 at 12:23 PM. MJ looking ticked...perhaps she and Peter get into a tiff while fighting off the Moleoids. What family is'nt without squabbling now and then? Or maybe's she's just really focused on the problem at hand? Or it's the shape of her mask's lenses that make her look angrier than she really is? It'll be interesting to see this scene in the context of the story and know exactly what's going on. Interesting. Wonder if the game will be counted as part of the comic's continuity, or if it'll be treated as a different RYV timeline? I'm wondering that myself. It seems the consequences of Secret Wars are still felt in the Unlimited game. Mysterio references the fact his RYV version traced Annie to her last school, so that probably explains why Peter and MJ decided to enroll her in the school of another dimension. It's still not clear what the continuity will be regarding the new RYV comic, MJ having powers implies the events of Spider-Island happened and Peter just never cured her like he did in the original, but that's just guess work. Yeah, that's accurate. Not sure if MJ will be getting her own event when she tries out that armour. The main storyline in Unlimited at the moment is a near-faithful adaptation of the Superior Spider-Man story. 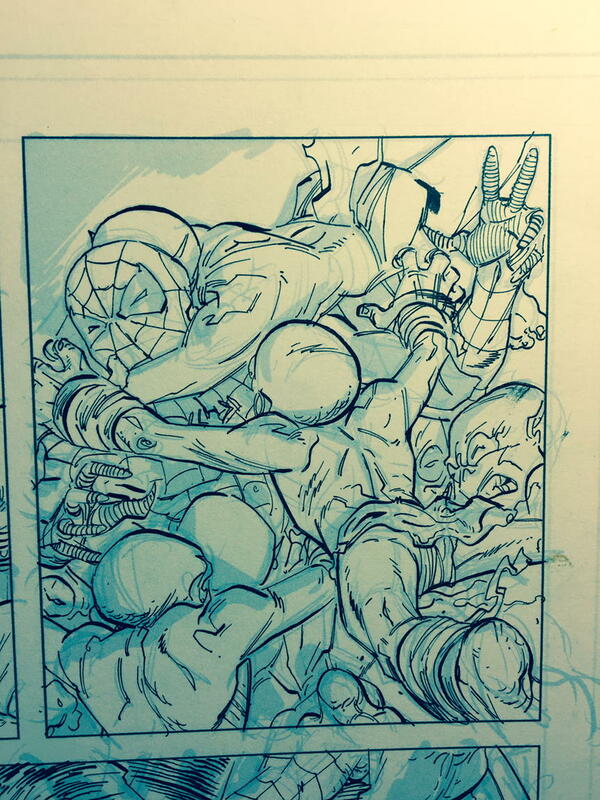 If I recall correctly, Hawkeye shot Mysterio in the face in RYV issue 4. Course, since this is Mysterio, he could've faked getting hit, but it is interesting that the game would function as a sequel to the comic, but ignore an element of it. On thinking it over, I'm guessing that the comic and game writers will probably not go out of their way to sync up, based on, from what I've heard, the game tends to do its own adaptation of stuff. If the two remain consistent so that they can say on the same timeline, it'll probably be a happy coincidence. I'd probably prefer if the two were kept separate to some extent; I wouldn't want missing gaps in the story that require a game I can't play. Can't play the game (although I keep current downloads on the computer on the off-chance I get a phone that can), but I thought that they were doing some "Spidey-2099 stuff currently? I agree, maybe MJ in her Spider-Costume from the new RYV series will be an extra outfit for the already available "Spider-Island" MJ. They are, and there's a "Symbiote Invasion" event coming up. I don't play the game either, but someone who does over on Comicvine and the Crawlspace forums keeps the fans informed of what goes on. I saw various trailers earlier in the year that unfortunately confirm we're getting the Parker Industries storyline, and the Superior storyline has already dealt with setting that up. I'd go for that if I could play the game. I'm really starting to envy players now. Okay, maybe I don't envy them that much. MJ having powers [in the RVY ongoing] implies the events of Spider-Island happened and Peter just never cured her like he did in the original, but that's just guess work. I never did read "Spider-Island," so I could be off, but I'm not sure if that's the answer on two counts. First of all, I thought that the spider virus started with the victims gaining Spider-Man powers, but then they turned into monsters (per the Secret Wars "Spider-Island," which took place in the reality where it ran unchecked). That would make it seem unlikely that MJ would be able to use the virus to gain her powers. Secondly, could the Spider-Island incident even happen in the RYV world? The original comic story was set in the post-OMD Spider-Man setting, meaning it was arguably in a different timeline than the one that RYV branches off of. I was even under the impression that the original RYV miniseries took place in a timeframe after "Spider-Island. You're right in that the powers eventually turned them all into monsters. MJ was able to resist it longer because of her sexual relationship with Peter over the years (no, I'm not joking, that was the explanation). The original RYV series was entirely it's own thing actually, not connected to 616 at all. Captain America has a different outfit with the A on the chest and star on the mask), Eddie Brock was still Venom (with the design used for Mac Gargan's stint with the symbiote), and Peter had never been an Avenger in that time frame, and was only just being tempted to join them when both Venom and Regent attacked in the inaugural issue, which led to Regent killing the heroes and Peter killing Venom. I was merely speculating about the part with MJ having powers and recalling the one story where, canonically, that had happened, coupled with the confirmation we got in the letters pages of ASM that this series takes place in a world where "Mephisto never interfered". It may be as simple as that, since to have two different series called RYV with different continuities would be quite a chore to process. I'm just trying to make some sense of it all, though Marvel have gotten pretty lax with continuity over the years. - When MJ gives Peter the spare black costume in the second issue, they both recall that she had asked him to stop using it, which happened in 1988's ASM #300. - When MJ is reflecting on Peter's Spider-Man career, the flashbacks show some very specific 616 stories, like the original "Night Gwen Stacy" died and the rescue of astronaut Jameson's shuttle. - Peter's flashbacks in Regents tank of first meeting MJ and their first kiss depict the 616 versions. Because of that, I took it to be that the RYV timeline more or less diverged from 616 somewhere between Peter and MJ's marriage and the '90s Clone Saga (which is where the Mayday birth would've happened), specifically based on the implication that Peter and MJ hadn't been married that long before the first RYV issue. Is it possible that Slott was just including that as an Easter egg (either to the RYV story he wrote, the upcoming series, or both)? Slott seems to love Spider-Man Easter eggs and is not exactly known for logical storytelling in ASM, esp. in regards to how his series fits with earlier material. It may be as simple as that, since to have two different series called RYV with different continuities would be quite a chore to process. In all honest, I don't think it would, given that there are a lot of properties today that are doing that, like Star Trek, but I am a sci-fi fan so I may be more used to it. I'm just trying to make some sense of it all, though Marvel have gotten pretty lax with continuity over the years. Maybe it'll be a Stargate-like thing: The original miniseries happened in broad strokes, but some parts may not be accurate. Because of that, I took it to be that the RYV timeline more or less diverged from 616 somewhere between Peter and MJ's marriage and the '90s Clone Saga (which is where the Mayday birth would've happened). The evidence for the case of it being the second child is that Annie's middle name is "May", when Peter and MJ had both agreed in the Clone Saga that the child's first name would be May, Annie being the first name here indicates Peter and MJ wanted to honour the memory of the first stillborn child but wanting to move on from it at the same time, hence naming her after MJ's aunt Anna. Another note of interest is there's a story set before OMD where the One Above All visits Peter and shows him a future with MJ and two children called Benjy and Mary (so we now have a daughter named after Peter's mother, or MJ's first name, or likely both), so far nothing has come of that detail. I think this was done specifically to assure people that in some far distant future, the Peter and MJ affected by OMD will reconcile and have these children. Based on the letter, do you think that means that the RYV series won't be a continuation of the original miniseries? That's what I'm led to believe based on promotional material so far, but could be wrong. Is it possible that Slott was just including that as an Easter egg (either to the RYV story he wrote, the upcoming series, or both). I believe he threw that in as a tease for the upcoming series so that it mattered more. When promoting the original series, Axel Alonzo and Slott both said the Secret Wars tie-ins would all matter to the overall master plan for several characters at the company. Also keep in mind Marvel have been pushing Mephisto references a lot in Spider-Man appearances in other books, particularly Spider-Man/Deadpool which deals with Peter being haunted by cryptic words from Mephisto about his "greatest fall" and how he will forever feel emptiness. Annie is based off the child Peter and MJ would have had if they had remained married. 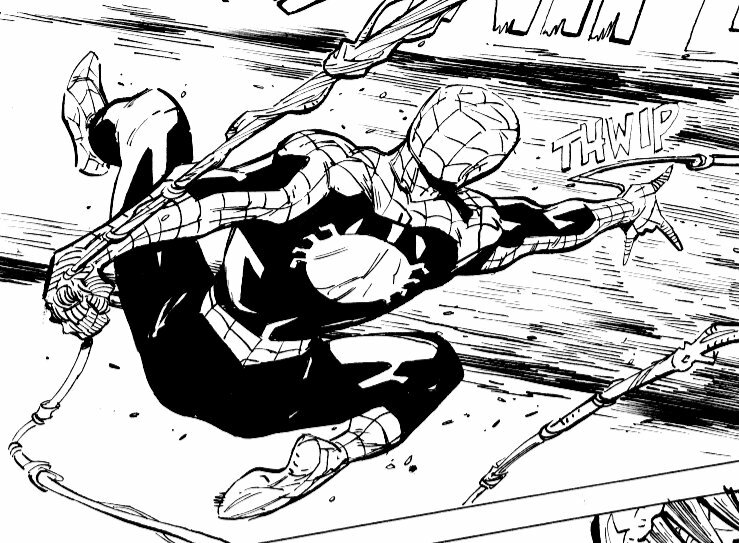 Well, I did listed to a Spider-Man podcast that artist Adam Kubert was a guest-star on. He did say on that that he was specifically told to base Annie on the hypothetical future Parker daughter in OMD (although Kubert's own kid was the main model for the character in practice.) However, I don't think that means that Annie has to be the OMD kid (and the fact that Annie was born in a timeframe where none of the Civil War stuff had happened would seem to argue that they're different characters). The Marvel Wiki actually states that MJ's aunt's full name is "Anna May Watson," leading me to guess that Annie was named after her maternal great-aunt, and it was a bonus that it was also gave her the name of her paternal great-aunt/adoptive grandmother. I also think that there's a good argument that, in the RYV universe, at least, Annie was the Parker's only kid; Peter and MJ never talk about having lost a child before, which you'd think would come up given that they're running the risk of losing another. In the first RYV issue, MJ says: "Maybe you should have a talk with [the other superheroes about picking up Spider-Man's beat]. You have a wife and kid now" (my emphasis). Spidey himself tells Iron Man something similar, as if Peter and MJ's marriage and parenthood are both very recent events. If so, that would preclude Annie having an older sister. Finally, when Peter relives his life in the tank during issue five, we see nothing about a child that was lost, and this includes snapshots of his uncle and aunt's funerals, milestones of how he and MJ met, fell in love, were married, and Annie's birth. If Mayday was born and miscarried (or whatever) in this timeline prior, I'm pretty sure that that would've been shown in the montage (which is specifically said to be made of the most important things that happened to Peter). On the bright side, that future's labeling as a parallel universe (instead of a alternate future that Peter and MJ gave up in OMD), does mean that that the original pre-OMD 616 continuity does have a place where all the stories happened as written and at least one more universe where the Parkers are still a married couple. Any links to those sources? All the ones I've found are either just saying: "RYV is coming" or are upfront that we don't know that much. None of them have asked whether the original miniseries will be part of it or in a separate continuity or given any clues about this topic. I would love know the behind-the-scenes progress for the series. Specifically, was it always intended to give RYV a follow-up, or was it written with the idea of being a standalone, but the popularity made them change their minds. After all, author Dan Slott did go on record that the story was an idea he pitched because he wanted to write it, not something that Marvel asked him to put together. Interesting that they're actually suggesting that OMD was a bad thing for Spider-Man. It seems like a lot of the actual comics have been going out of their way to insinuate that the marriage was harmful to both characters and Peter being single made his life better, or some bull-crap like that. It could be that Dan Slott just wants to touch on OMD in some fashion (he does seem to enjoy doing stuff like that) and that it has nothing to do with the RYV series? The original RYV, despite the marketing, really had nothing to do with OMD in and of itself. I haven't listened to that podcast, but I was aware about Kubert's daughter being the inspiration for Annie. I don't think it's a coincidence that Annie resembles the child Mephisto conjured up in OMD and then they use that as the basis for an out-of-continuity version. Given how Marvel openly admit they like to profit off their customers by intentionally triggering them, Marvel gave Annie that look specifically because it reminds people of what Peter and MJ sacrificed in OMD. D'oh, shows I'm still learning when it comes to a franchise I've followed for almost all of my existing life, I didn't know that. That's what sort of happened in 1998 just before the relaunch. Tom DeFalco's last issue of ASM prior to that dealt with a future where a group of archeologists were trying to work out what happened to Spider-Man. Various characters are brought up like Spidey 2099 and Mayday Parker, and they even debate which historians were right about his relationship with MJ, some saying she was killed, some say they divorced, and some said they lived happily together for the rest of their days. I read somewhere Marvel later claimed this story was out-of-continuity also. In this future, MJ becomes very important to the superhero community, and described as the "first lady". Flashbacks in Mike Costa's Scarlet Spiders mini-series revealed that, yes, all stories would have happened if Peter and MJ had remained married, including Superior. However, in the book, the flashbacks are all to do with a reality where Ben Reily had lived and continued to be Spider-Man where as Peter never regained his powers. 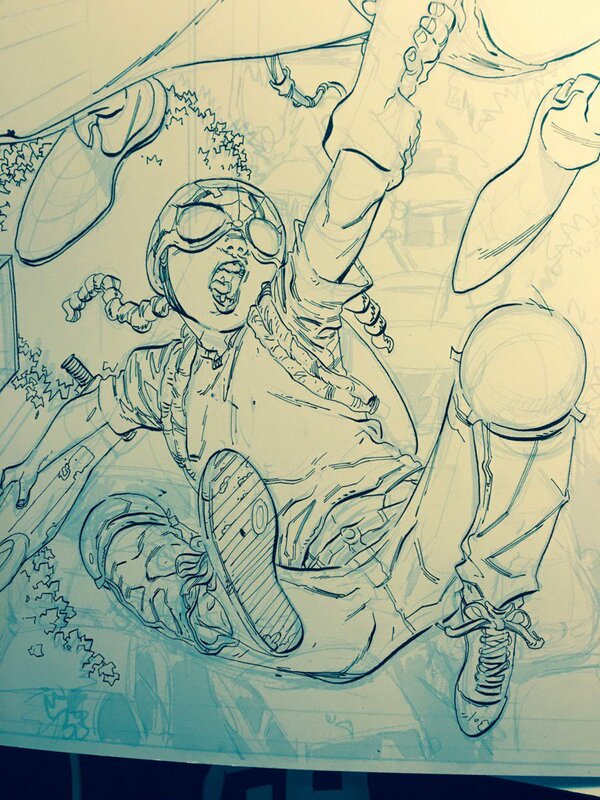 Costa said Peter and MJ remained in Portland raising their children, where as Ben was actually able to defeat Doc Ock pretty soundly in his version of Superior and resist his attempts to take over his body. I was simply referring to things like the letter and the fact MJ has spider-powers. With great power there must also come -- a great life! Peter Parker and Mary Jane are happily married and have a daughter, and to top it off, the whole family has Spider-Powers! 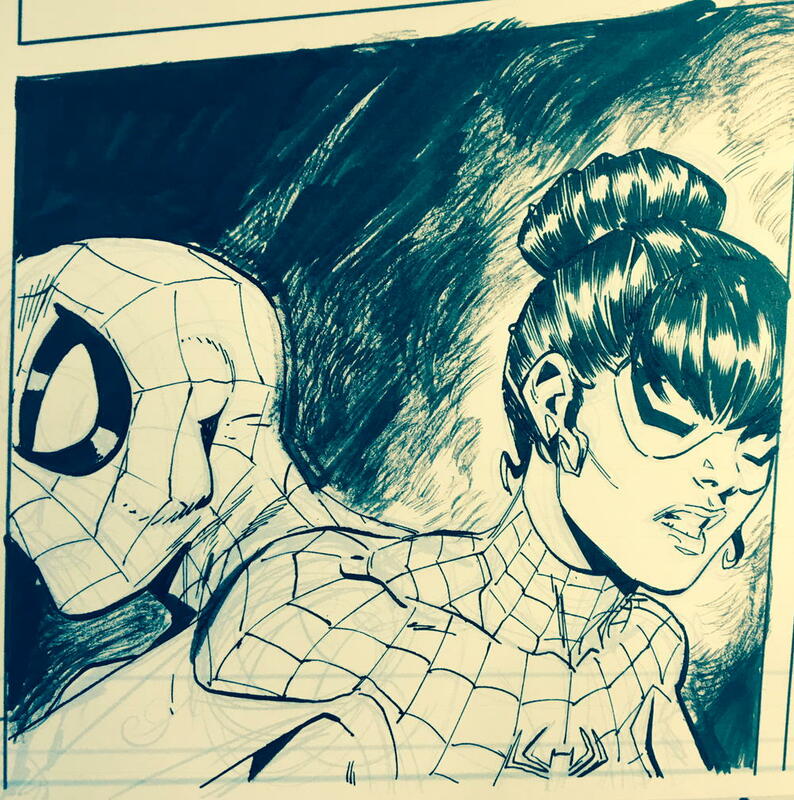 Spider-Man: Renew Your Vows is by writer Gerry Conway and artist Ryan Stegman. Subscribe to read #1, web-slingers! Conway's Carnage is now officially axed, so his readers really ought to be directed over to RYV instead of Mike Costa's Venom, which seems to be the case per the notification. 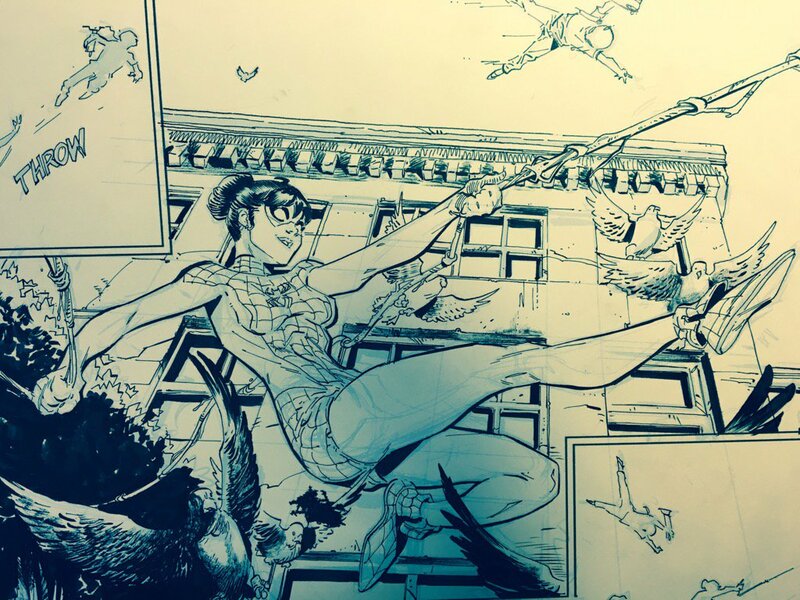 A user on scans_daily last year confirmed Slott had told him at conventions he had actually pitched several ideas for Peter and MJ to be married again in the main books, but was constantly turned down, and only got special permission for this because of the reality-warping nature of Secret Wars. Slott also said on CBR that Marvel were very aware a pro-marriage Spider-Man book would sell, so they were not surprised at all. Interesting that they're actually suggesting that OMD was a bad thing for Spider-Man. It could be that Dan Slott just wants to touch on OMD in some fashion (he does seem to enjoy doing stuff like that) and that it has nothing to do with the RYV series? Well, as I had said earlier, if he didn't want it to tie into RYV, he wouldn't have left in that bizzare deja vu easter egg in ASM this year. Last edited by ZariusTwo; 09-11-2016 at 05:05 AM. I actually assumed that Annie was designed to look like more like her mom, the way that Mayday takes after her dad, so I was actually surprised that they were trying to evoke the OMD kid. Well, like a famous Vulcan once said, there are always possibilities, so maybe somewhere down the line, things will get back to normal again. Interesting. (Although, given parallel realities, I would believe that some things would change, depending on the differences that separated the timelines in question). I'm blanking on which letter you're referring to. I guess I had assumed that MJ got superpowers between the original RYV series and the new one, but I will concede that until we know for sure how that happened, anything's possible. Wonder if Carnage was always going to end when Conway took over RYV, or if other factors were involved. A user on scans_daily last year confirmed Slott had told him at conventions he had actually pitched several ideas for Peter and MJ to be married again in the main books, but was constantly turned down, and only got special permission for this because of the reality-warping nature of Secret Wars. Is there a link for those? I'd be curious to read for myself. I also sometimes travel around in many pro-pre-OMD Spider-Man fan circles who are convinced that Slott is strongly against the Peter/MJ marriage (and to be fair, I do think that his writing does make it seem like he is against the idea). I'd be really interested to see what the reaction is to those statements from those circles. Slott also said on CBR that Marvel were very aware a pro-marriage Spider-Man book would sell, so they were not surprised at all. Wonder why they don't want in the main books, then, if it tends to sell well? I strongly disagree with Brevoort's position, but opinions are subjective. Assuming that there is a point, what could Slott be wanting to do with it? Is there a link for those? There is on Comicvine I believe, but it requires looking through pages worth of one thread to find it. I'd be curious to read for myself. I also sometimes travel around in many pro-pre-OMD Spider-Man fan circles who are convinced that Slott is strongly against the Peter/MJ marriage (and to be fair, I do think that his writing does make it seem like he is against the idea). I'd be really interested to see what the reaction is to those statements from those circles. Slott's opinions on the marriage vary to the point you can't be sure if he is for or against it. Yeah his main book material indicates that he's against it, but he's working with a reality that's been altered by devil magic so you never know if what Peter and MJ do to each other is sincere or caused by Mephisto. He said in one interview that the marriage is like Charlie Brown kicking the football, but in the actual RYV story he shows just how much more mature Peter is in the role of a hero and a father and there are no bitter consequences or moments of doubt for the couple (except for that one bit at the end where MJ wonders if Peter would have killed Regent if Annie had been harmed, but she's not mad at him or anything). He even ends the story with "this life doesn't mean the end of yours"
Slott said in a Comicvine video interview (you can find this one easily on Youtube), Peter and MJ without the marriage in the main books is "no fun" to write for because they can't go anywhere else...but in the same interview he says MJ is a limitless character when she is married to Peter. So yeah, I think while Slott does have his own ideas about the marriage, he's slightly bi-polar on the subject. You sort of just have to accept that he's a notorious spinster who will say and do things that everyone wants to hear and read, so long as it gives him and the company a sizeable buzz. Last edited by ZariusTwo; 09-11-2016 at 12:57 PM.